Vibrant colors which do not have fillers for opacity. 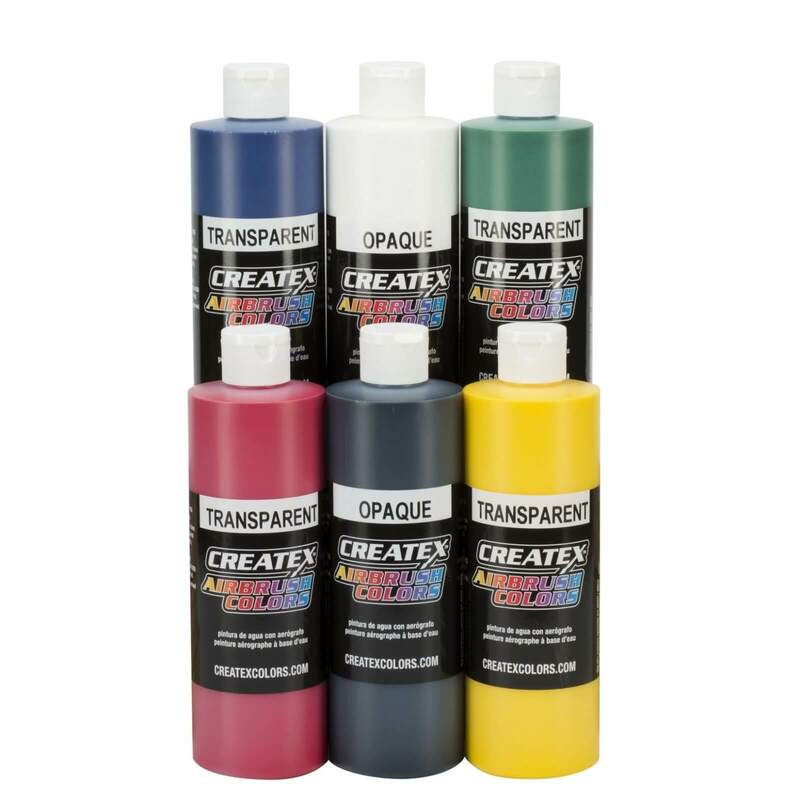 Transparent Colors most often work best over a light surface or base color such as Opaque White. 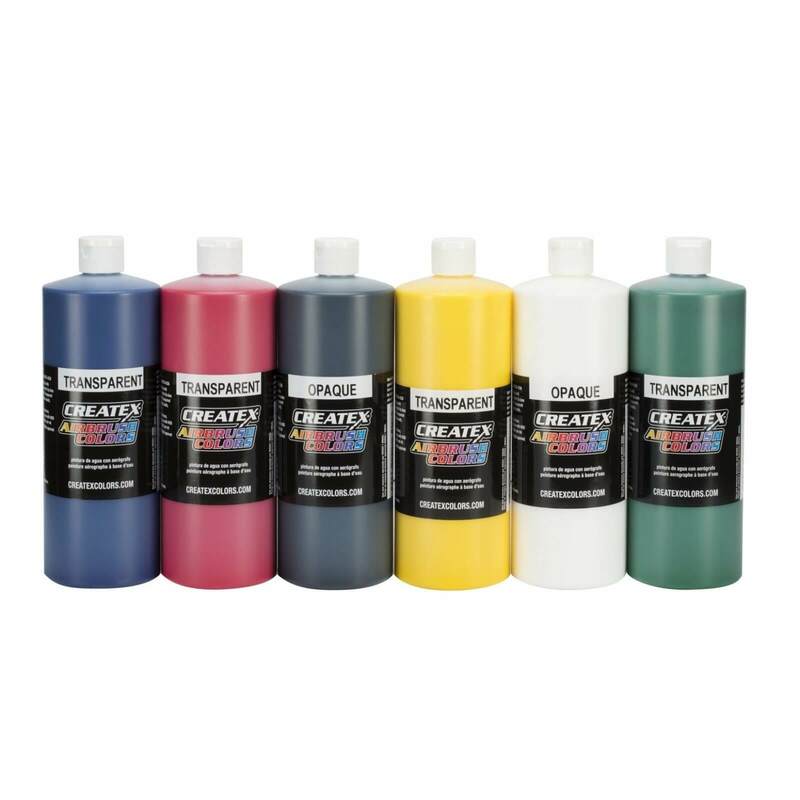 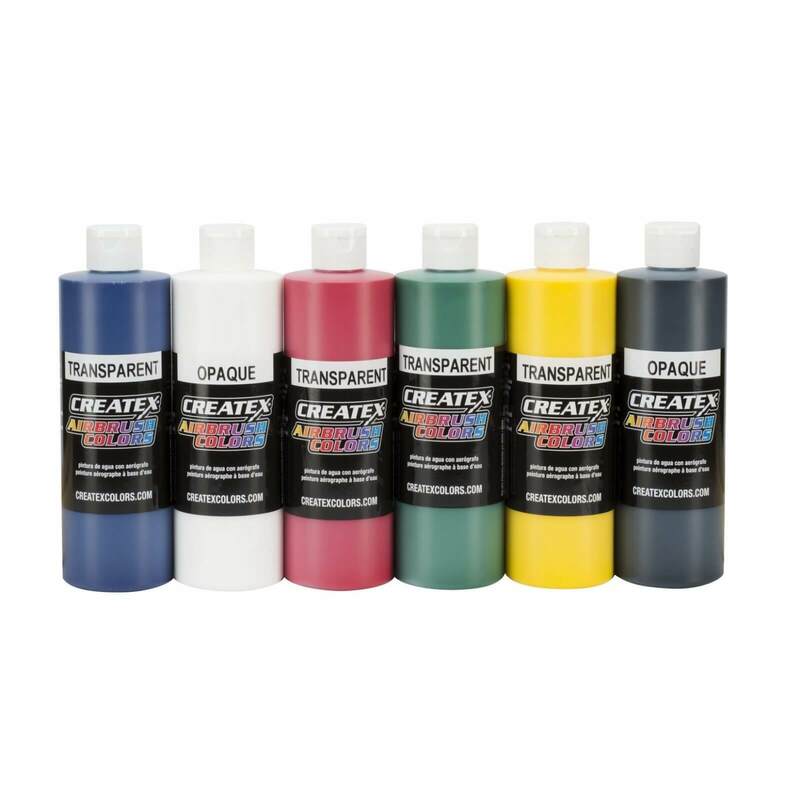 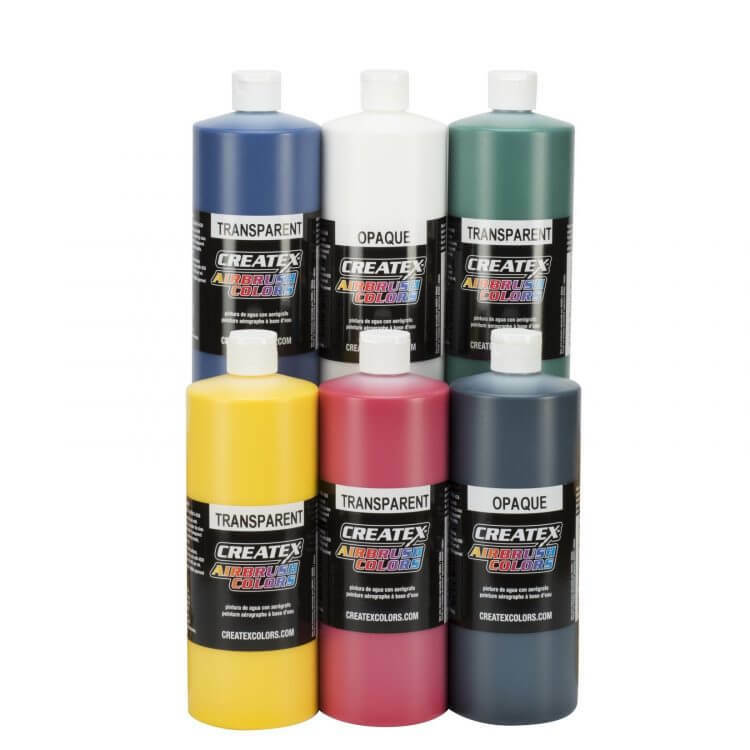 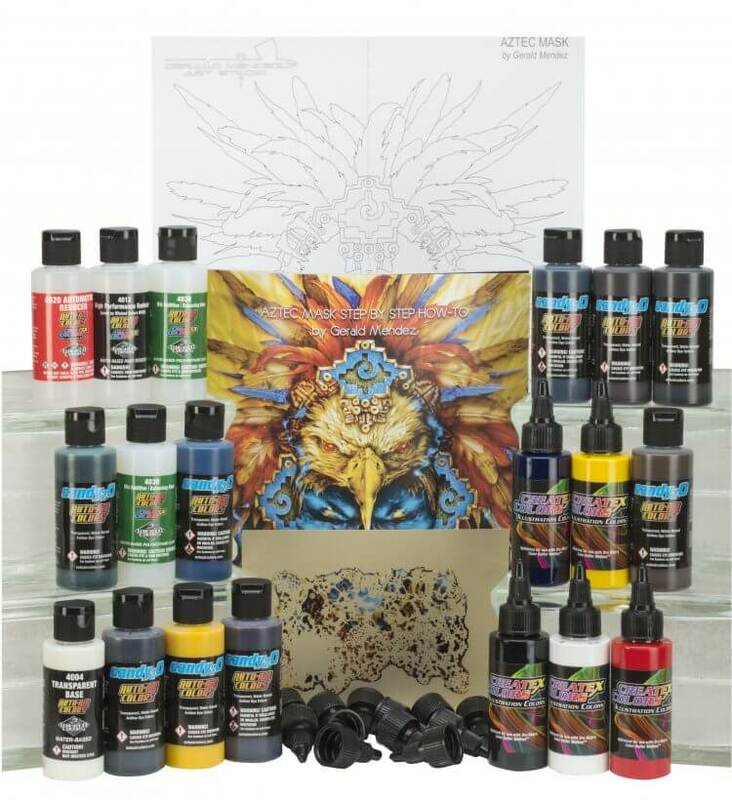 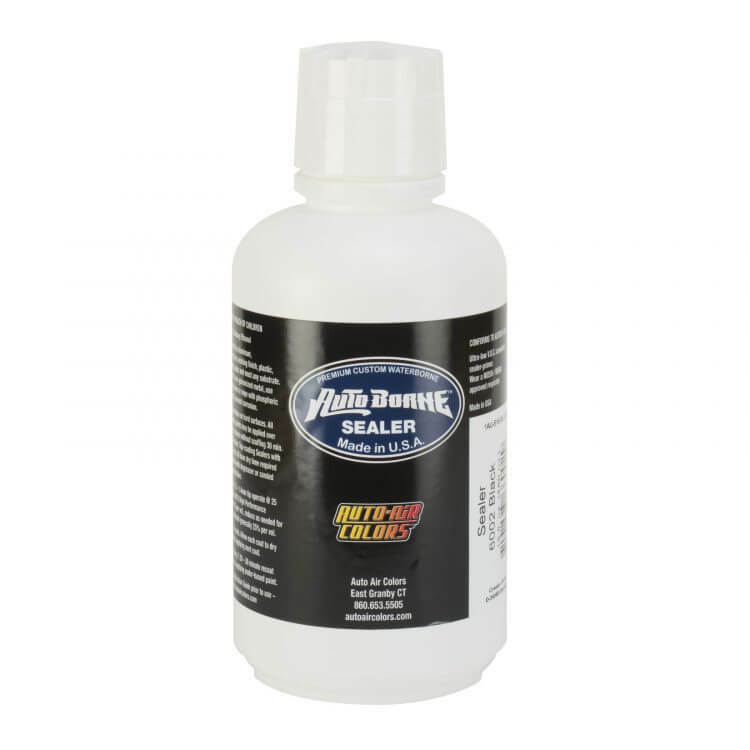 Transparent Colors have a high pigment load for semi-opaque coverage out of the bottle and may be reduced with 5601 Transparent Base or 4012 High Performance Reducer to increase transparency and assist flow & atomization with smaller airbrush tip-sizes.